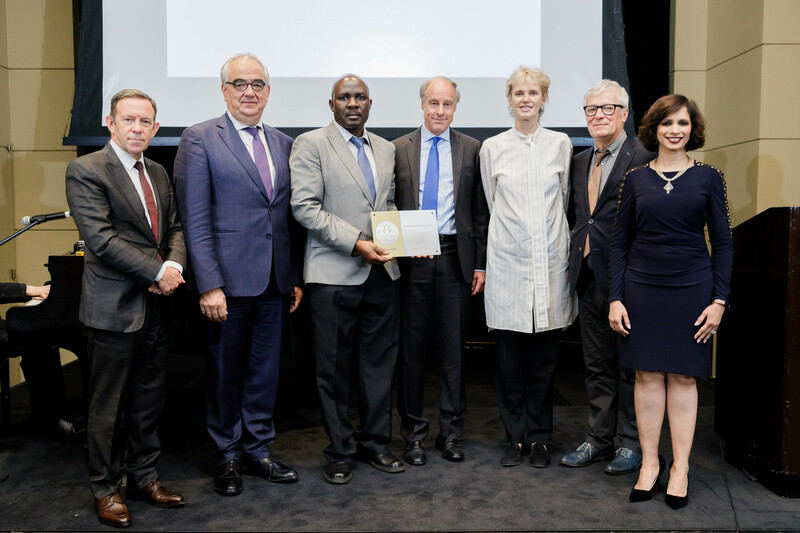 On 10 October 2018, World Mental Health Day, the Dr. Guislain Museum and Janssen Research & Development, LLC named the Center for Victims of Torture the 2018 winner of the Dr. Guislain “Breaking the Chains of Stigma” Award. The award honors the Center for Victims of Torture for its extraordinary efforts to reduce stigma about mental illness and provide psychological care and resources to survivors of torture and war trauma across the globe. The Center for Victims of Torture will be honored for its outstanding humanitarian work during a ceremony in New York City. According to the Center for Victims of Torture, there are approximately 1.3 million refugee torture survivors in the United States and millions more around the world. Torture and war trauma have tremendous psychological and physiological impact on individuals, often resulting in the development of post-traumatic stress disorder, major depressive disorder, and anxiety disorder. The Center for Victims of Torture provides services and support to these survivors with the goal of reducing psychological symptoms, such as flashbacks, nightmares, depression and anxiety, and improving function by helping survivors meet basic needs, re-establish social connections and get involved with their communities. The Center for Victims of Torture was the first rehabilitation center for torture and war trauma survivors in the U.S. and remains one of the largest organizations of its kind in the world. The organization started as a local program in St. Paul, Minnesota, thanks to the leadership of the state’s governor, during a period when tens of thousands of refugees were arriving from Southeast Asia. In 1999, the programs expanded internationally to reach survivors living in very difficult conditions in other countries, where they do not have access to mental health counseling and other resources as they do in the U.S. The Dr. Guislain Award program is a joint project of the Dr. Guislain Museum and Janssen Research & Development, LLC. The winner receives a $50,000 prize that must be used toward further work to reduce societal stigma about mental health. The Award is given to an individual(s), organization or project that has made an exceptional contribution to mental healthcare in the broadest sense on a cultural and/or social level; has provided a genuine contribution to decreasing stigma around mental health conditions; has promoted attention for mental health care; and has done all this with passion, creativity and innovation.